The WWE moved swiftly to distance itself from Hulk Hogan after news of his use of a highly sensitive racial slur became the hot topic on the Internet and with media outlets worldwide. 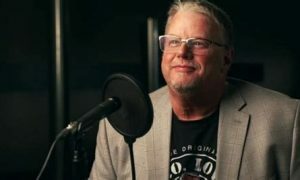 The former face of the WWF/E for lack of a better word, has been obliterated from anything having to do with the company that made him a household name in the 1980s and 1990s. 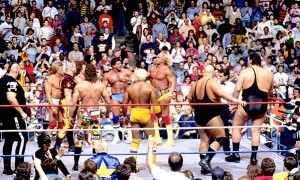 The move, which was the right one by the wrestling promotion, has given us all pause for a few moments – and shown how mainstream professional wrestling, particularly Hogan and the WWE, have become. The stories streaming across the web were not just from wrestling sites, rather the kind we all turn to so we can get our news and entertainment gossip force fed to us. The Huffington Post, Rolling Stone and Fox News were just some of the high impact news sites that led with the announcement of Hogan’s firing from WWE programming and his erasure from the main website. No mention of him about Tough Enough. No credit in the alumni pages. Merchandise from the company’s parent store has halted. This is HUGE news and a story that could all but cripple Hogan and his legacy. 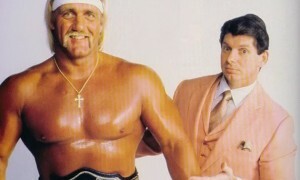 No one in this business has more of an impact on the success of the business becoming mainstream as it has as Hogan with his “Rock and Wrestling Connection” that helped establish WrestleMania. It also put Vince McMahon on the map as a pioneer in this business and a man who changed our perception of how we look at entertainment. Professional wrestling has had its issues in the past. Eddie Mansfield’s admission in the early 1980’s that wrestling was fake. McMahon’s federal trial over steroid use. The Von Erich’s and deaths of prominent wrestlers in “World Class Championship Wrestling” that were alleged to be because of drug use. Add Chris Benoit to that list as well while you are at it. But none, because of the timing and the sensibilities of this country, could be as damning as Hogan and his comments that have gone viral. WWE terminated its contract with Terry Bollea (aka Hulk Hogan). WWE is committed to embracing and celebrating individuals from all backgrounds as demonstrated by the diversity of our employees, performers and fans worldwide. Yes, this was what was best for business. This just proves to me, in a business where diversity is such an important part of character development, fan acceptance and marketing, even the biggest names of the past and present can be just as guilty of a failure to see consequences of their actions. 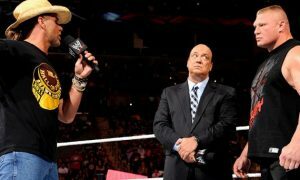 While there is always two sides to every pancake – no matter how flat it is – the way this was handled and the severity to which the WWE has distanced itself from its former ring leader is an indictment of what has happened and the fact there is no presumption of guilt. Hulk Hogan has been found guilty beyond a reasonable doubt and will now face the jury of public opinion. Forget the talk of a match at WrestleMania 32, forget the notion that Hogan was good for the company as a marketing tool. 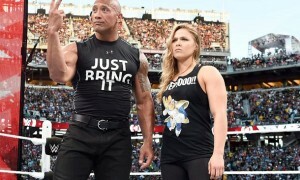 The WWE does not need this now or in the future to be in bed with someone who is altered racially. The best thing for the WWE to do now is move forward and say nothing else. The black eye has been given, the shadow cast. This is a company that has dealt with lack of fan support, failure to book wrestlers properly and plan for the future once superstars of today like John Cena, Kane, and Randy Orton finally hang up their boots. The company is already engrossed in lawsuits by former wrestlers and their families over medical care and whether or not the company today tries to prevent concussion injuries. This is a stain that will linger, and could have some backlash, but the WWE is not at fault here. Just carry on as planned. Prepare for SummerSlam and hopefully the dust will settle. This kind of news and action could not have come at a worse time. But swift thinking and climate control will be the best medicine to cure this kind of pain.